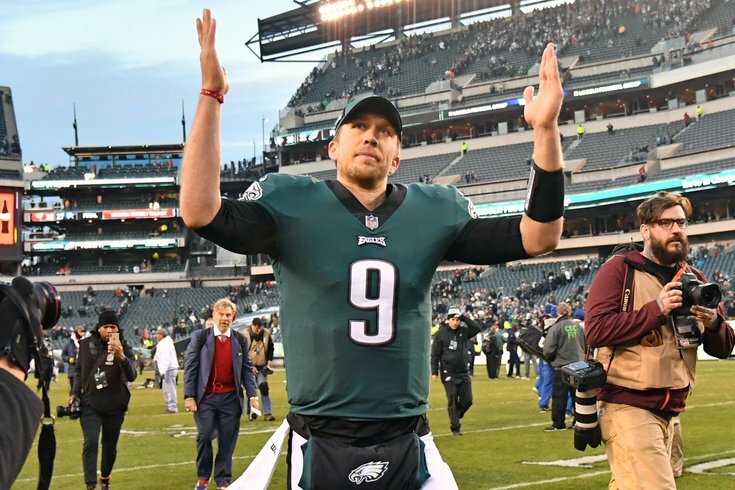 Can Nick Foles create some more postseason magic for the Eagles? The Eagles said goodbye to Nick Foles, the franchise’s first and only Super Bowl MVP, on Wednesday. He'll be a free agent, free to sign with one of the other 29 teams in the league. It was the right move from a franchise-building standpoint, but it sure wasn’t an easy "So long!" for fans. The team’s social media, which has been so pitch-perfect during the last few seasons, put out a fairly boiler plate tweet with the news on Wednesday morning. It was a tiny bit head-scratching, at least to me, but then maybe the news was unexpected to the social team, too. It certainly helps when you do the things Nick Foles did over the last 15 months, but this video is all hits, from the days when the team’s leadership and fans alike believed Foles was the quarterback of the future, to his valiant and ultimately victorious return. Philly Special obviously features prominently, because it’s still insane to this day. But closing things on Foles’ speech during the team’s Super Bowl parade, to all the fans he gave a ring, is the perfect ending. Now it’s time to figure out which team will be Eagles fans’ official No. 2 squad next season.